Will Nancy Pelosi face a rival candidate for House speaker? 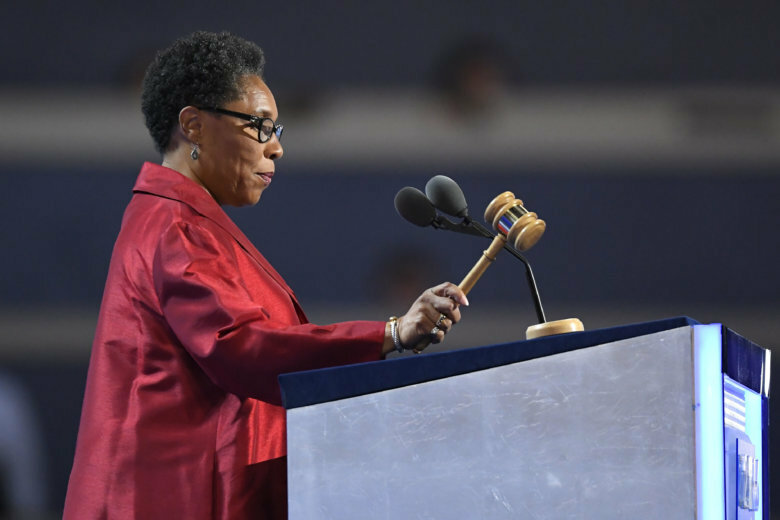 Rep. Marcia Fudge, who was once considering a bid, announced Tuesday evening she will instead support Pelosi as speaker. No other lawmaker appears willing to challenge Pelosi, but it's possible that 16 “no” votes on the House floor could deny her the seat. WASHINGTON — Democrats will talk turkey over Thanksgiving and the week ahead, as they consider whether to return Nancy Pelosi as House speaker or tap a new leader of the party, which is poised to take control of the lower chamber of Congress for the first time in eight years. Pelosi was speaker when Democrats last held power in the House and has led her caucus for 16 years. Some Democrats say it’s time for a frank discussion within the party about making a change. But if not Pelosi, who? Rep. Marcia Fudge — a Democrat representing Ohio’s 11th District — had indicated interest in running for speaker. According to multiple reports Tuesday evening, she has since opted to fall in line: She announced she would not make a bid and instead support Pelosi as speaker. Fudge was not one of the 16 Democrats who signed a letter released this week saying they would back new leadership. In addition to those who signed the letter, there are others who have indicated they will oppose Pelosi, including newly elected Rep. Abigail Spanberger, a Democrat who will represent Virginia’s 7th District. But while some are willing to vote against Pelosi, no lawmaker appears willing to run against her as a rival candidate. Pelosi is expected to cruise to victory at next week’s caucus vote, but the numbers for a final floor vote in January are less certain. At least 19 Democrats have indicated they will oppose returning Pelosi to speaker. Depending on how a few undecided House races turn out, it’s possible that 16 “no” votes on the House floor could deny her the speakership. Democrats currently have 232 seats following the midterm elections and could pick up a couple more. Pelosi will need a majority of the 435-member House — 218 votes — to be elected speaker. Pelosi, her staff and political backers have been working hard behind the scenes to secure her support. And the lawmaker from California’s 12th District has repeatedly expressed confidence that she’ll again lead the party. But dozens of new members will soon be in Congress, and there’s a hunger among some to at least consider changes at the top. Rep. Cedric Richmond — a Democrat representing Louisiana’s 2nd District and the chairman of the Congressional Black Caucus — said before Fudge’s Tuesday evening announcement that if she ran against Pelosi, he’d support her. Richmond had acknowledged, before Fudge’s Tuesday announcement, that the CBC was split over her and Pelosi. But he believed more people would have seriously considered Fudge if she had run. “A declared Marcia Fudge candidacy is a lot different than a contemplated Marcia Fudge candidacy,” he said. Fudge has been back in Ohio, where her possible run had attracted attention. “Sometimes you just need a different voice. Sometimes you just need a different kind of vision,” Fudge told reporters after meeting with Pelosi last week. The No. 2 Democrat in the House — Rep. Steny Hoyer, a Democrat representing Maryland’s 5th District —has not come under as much scrutiny as Pelosi, though he’s also been in a leadership position for a long time. Still, he recently released a letter signed by 155 members, supporting him to become majority leader of the House.